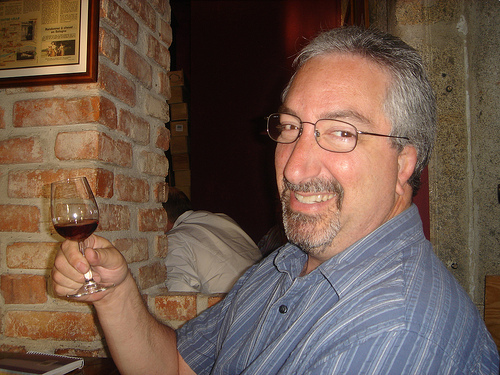 Editor’s Note: Fortified guru Roy Hersh has been a dear friend of ours for many years. “For the Love of Port” grown tremendously since day one, attracting loyal readers spanning the globe as result of his passion, expertise and desire to share his newfound treasures. Hence, whenever a question about Portuguese fortified wine stumbles across our keyboards, we quickly turn to Roy. Today, he will give us his perspective on a few undiscovered culinary and vinous treats, followed in a second article on the current state of Port in North America. Thank you Roy for your time! #1: It’s been awhile since we talked about FTLOP, how has it developed? What are you most proud of? FTLOP continues to evolve as our brand matures and we approach our ninth anniversary next February. During the first half of 2013, we’re planning to launch a new companion website, completely dedicated to our Portuguese wine travel business. Our interactive Forum recently surpassed the 80,000 post milestone and continues to gain in popularity, while FOR THE LOVE OF PORT … the Facebook page has grown somewhat slowly, but steadily. All in all, after more than 8 1/2 years of newsletter publication and Portuguese wine reviews, (with a global reach of 74 countries) I am content with our progress, while continuing to explore new ways of promoting Port, Portuguese wine, food & tourism. ForTheLoveOfPort has grown somewhat slowly, but steadily. All in all, after more than 8 1/2 years of newsletter publication and Portuguese wine reviews, (with a global reach of 74 countries) I am content with our progress, while continuing to explore new ways of promoting Port, Portuguese wine, food & tourism. 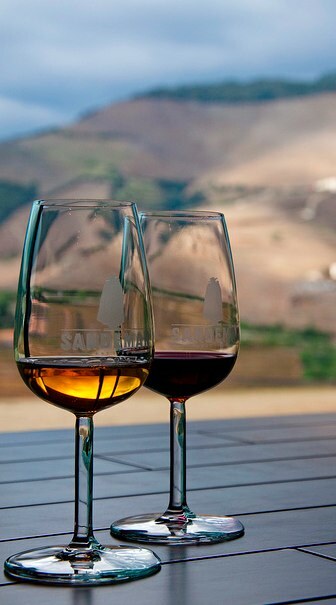 There is no question that our greatest achievement has been cultivating a broad based community of Port, Douro and Madeira wine enthusiasts from around the world. Many of these individuals have met over the years. Friendships have emerged not only virtually from FTLOP’s Forum, but they have culminated in hundreds of Port and Madeira tasting events and regular tasting groups have been networked across North America and throughout Europe. The evolution of this linked community over the years, and the attention focused on the wine and tourism sectors of Portugal, is what I am most proud of. #2. You offer tours of the Douro and Madeira, what do these include and what are the highlights for you after several years of running them? Our food & wine-centric “insider’s” tours began humbly in 2005, with our first Port Harvest Tour consisting of just two brave souls. 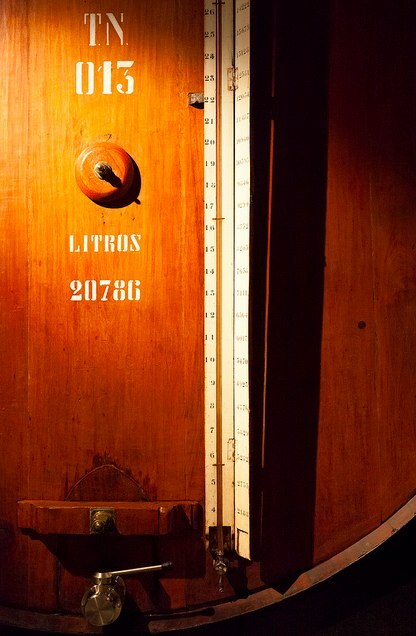 The following year we added Madeira in combination with Porto & Douro exploration, for what we fondly call our “Fortification Tour.” Within a couple of years, these two annual excursions began to fill up quickly, solely relying on word-of-mouth advertising. By 2011, we added our 3rd annual expedition, the “Port Explorer’s Tour”, which is a more casual and value-priced wine and food vacation which includes a visit to another of Portugal’s emerging wine regions: Vinho Verde, in addition to stays in Vila Nova de Gaia and the Douro. Next year we’re adding Trás-os-Montes to our offerings and by 2015, we plan to enhance our portfolio with the addition of several evolving regions in the Southern half of Portugal as well. Prior to our launch, my Portuguese tour biz partner Mario Ferreira, was the Port & Douro Wine Institute (IVDP’s) liaison to the USA. We both participate in guiding all trips and are proud that since our very first tour; we’ve had repeat guests on every one of our sixteen trips with well over a dozen guests who have been with us at least three times. It’s our mission to exceed the grand expectations of our first time and repeat client’s whilst keeping our tours fresh by visiting different vineyard and restaurant venues each year, so no two vacations are ever the same.. In order to achieve this, we literally tailor our itineraries to the wish list of our individual guests. Albeit it may sound backwards, we actually put our tours together AFTER speaking with the guests who have already made reservations to join us! This is just one of the reasons we’ve developed such a loyal following for these all inclusive bespoke expeditions that provide face time with the owners and winemakers and present an extraordinary array of hand-selected library wines and lavish gourmet meals along the way. Believe it or not, Mario and I find these educational and fun sojourns every bit as gratifying as our guests. #3. We know you love Portugal. What is it beyond the delicious liquids that makes you excited to return each year? That is easy; the Portuguese people and their culture. I’ve been fortunate to visit wine regions on several continents since my parents took me to my first one in the 1970’s. But I have chosen to make Portugal, “my home away from home” due to the warm and welcome feeling the Portuguese people extend to visitors. The sincerity is genuine and is akin to visiting a relative that you have not seen in many years. I’ve not experienced that anywhere else with such regularity. I wish I could deliver a more cogent explanation of this dynamic, but it is more than just an old-world charm, and must be experienced to be fully appreciated. I’ve been returning to Portugal for eighteen years now and in addition to the extraordinary warmth one senses as a guest; the music, the food and diversity of scenery throughout the country make Portugal the greatest wine producing “secret” in Europe. It is hard to believe that tourism has not caught on to a far greater extent than it has. However, the Portuguese are not the greatest self-promoters (they’re quiet in their confidence), even though the country is as diverse and delicious as their great wine and food. #4. Some people say that Portuguese food is a bit simple. We here at Catavino couldn’t disagree more. 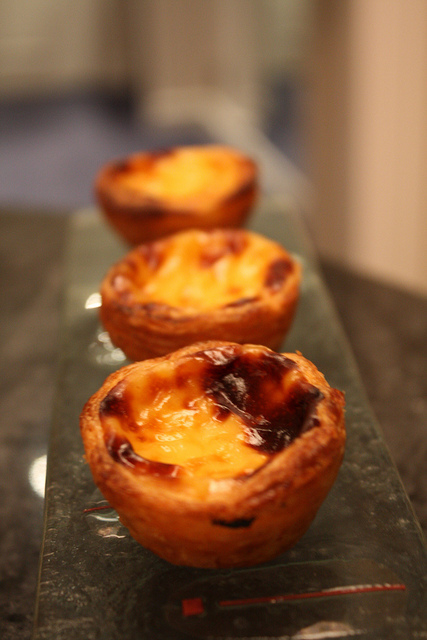 What is it that you think people are missing when it comes to Portuguese food culture? What should they try to fall in love? Today, my passion centers more around wine, but truth be told, I was a very serious foodie first and foremost, which led me to a culinary degree before heading off to university. Having spent the subsequent three decades working in the foodservice industry in virtually every capacity of the business (both front and back of the house of corporate and independent enterprises), my perspective is likely to be skewed very differently than a typical visitor to Portugal. I have greatly enjoyed the food in France, Italy, Spain and many other bastions and diverse outposts of haute cuisine; as well as authentic, rustic homemade meals. My travels always include visiting food markets. Portugal was no exception, from my first landing in Lisboa in 1994 to my last day in Porto, just a few weeks ago. The quality of Portuguese food has won over my heart, early and often. Keeping it simple, besides the Turks, the greatest bread bakers in the world are Portuguese. I’d put the best Portuguese bread up against the greatest baked in either France or Italy! Fresh fish: Portugal’s “meat” for many centuries up until just a couple of decades ago, most citizens could not afford meat that they did not raise themselves. Fish and fishing is part of the national mindset and history, if not the life’s blood of the Portuguese. Pork products: Portugal’s piggies produce Presunto (particularly from Chaves or Alentejo) of such a high caliber, that it can arguably stand toe-to-toe with rivals in Spain, (Jamones Ibericos and Serrano) and Italy (San Daniele or Parma prosciutto). Olive oil: Can someone please explain why the world has yet to discover the fabulous quality that comes from the olive groves both north and south in Portugal? Produce: There may be some exotics that aren’t grown in Portugal, but the freshness found in the markets and ripening achieved throughout the country is as good as I’ve seen in the USA or best found elsewhere in Europe. I can go on and on about the cheese (queijo) and pastries (pasteis) for a week, but suffice it to ask; what’s not to love with these two world class food categories? The restaurant scene is what typically drives visitor’s opinions, when it comes to food. Most don’t usually formulate their beliefs by visiting outdoor and indoor food markets. Choosing restaurants for our guests to visit and discovering new eateries before and after our tours is my 2nd favorite thing to explore in Portugal, after wineries of course. I could be persuaded that I have my priorities out of order. Why? Because Portugal, (and with restaurants, I must admit that my experience is vastly more focused up north, in addition to Portugal’s island of Madeira) in terms of sheer excellence, Porto is awash with a plethora of prime places to dine. Yes, it all starts with the ingredients. However, the culinary talent over the past decade has grown exponentially and with it, the quality of restaurants. The difference is as stark as (and analogous to) improvements in Douro wines; not coincidentally during the same time frame. Many of the meals I’ve had in Northern Portugal were not only world-class, but exquisitely balanced in terms of the quality levels of food, wine, service (nowadays!) and certainly ambience. To the point, I’ve even considered writing a book on the topic! Last word on food: We have well-traveled guests join us from all over the globe and they show up with extremely high expectations of the food, as well as the wine offered during our tours. These uber-critical wine loving gourmands often mention that the food experienced both at restaurants, as well as the home-cooked meals they’ve been served by the Duriense at various Quntas, is up there with the best culinary experiences they’ve ever had while visiting any other wine region. I couldn’t agree with them, or the folks at Catavino, more!